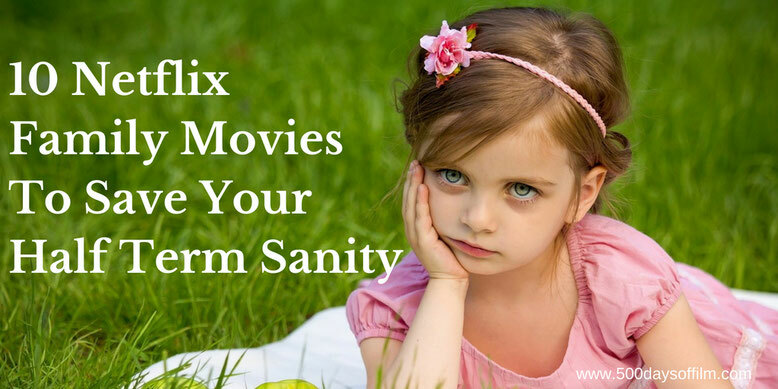 No matter the weather, even the most energetic parents need a movie escape during half term. A moment when you can (finally) sit down with your kids, relax and enjoy the wonderful world of film. Netflix offers a number of great family-friendly movies. Indeed, the streaming giant has a separate platform just for children. Here are ten examples that may save your sanity (or at the very least give you a much needed break) this half term. It may be 22 years old, but Danny DeVito’s adaptation of Roald Dahl’s classic story feels as fresh as ever. Mara Wilson stars as Matilda - an extremely bright, book-loving girl who, with the help of her teacher, has to outwit her neglectful parents (played by DeVito and Rhea Perlman) as well as Miss Trunchbull (brilliantly played by Pam Ferris), her cruel and abusive headmistress. One of my favourite ever animated films, How To Train Your Dragon is a wonderful story of bravery, friendship and acceptance. Dean DeBlois and Chris Sanders’s 2010 film is both visually stunning and endlessly heartwarming. On every watch, I fall in love with Hiccup’s friendship with Toothless. How To Train Your Dragon was followed by a worthy sequel in 2014 and the third film in the franchise is expected in 2019.
Who knew back in 2010 that the world of animation was about to be dominated by mischievous little yellow beings? The Minions in Pierre Coffin and Chris Renaud’s Despicable Me soon took centre stage (and, of course, starred in their own film in 2015). However, while I enjoy the Minions, they are not the main reason why I love this movie. I adore Despicable Me for its exploration of family - amid the hilarity and chaos, Gru’s relationship with Margo, Edith and Agnes moves me to tears every time. Adapted from Roald Dahl’s 1982 novel by the late Melissa Mathison, The BFG is a truly magical family film. This is familiar territory for director, Steven Spielberg, and from the opening scenes we know that we are in safe hands. Mathison also wrote the screenplay for E.T. and there are many similarities between the two stories. As was the case with Elliot and E.T., the BFG steals Sophie’s heart, and ours too. I’ll admit that I hesitated before adding Bridge To Teribithia to my list. Not because of any concerns over the quality of Gabor Csupo’s film - this is a wonderful, imaginative and visually stunning movie. Not because of any reservations about its performances (Josh Hutcherson and AnnaSophia Robb are superb). However much I love (and would recommend) Bridge To Teribithia, the film takes some unexpectedly dark turns and, if you have sensitive children, I would suggest that you watch this movie first to make sure that it is an appropriate viewing choice. With that said, Bridge To Teribithia is in no way horrific or disturbing. It just covers ground from which many ‘family’ films shy away. I embrace this brave narrative choice - it gives our children a rare and early chance to experience grief in the movies and offers them a way to explore and discuss fears and feelings that they may already be experiencing. Remakes are tricky things - particularly if the original is as beloved as Disney’s 1967 animation, The Jungle Book. No pressure then. I can’t even imagine the strain that director, John Favreau, must have been under to make his film work. How wonderful, then, that this is a joyous, exciting and enjoyable film. It is beautifully told, brilliantly voiced and introduces a superb new child actor in Neel Sethi. Since the introduction of the 12/12A rating classification, entertaining PG-rated movies have been hard to find. Far too many under 12-rated family films are animated snooze-fests. Goosebumps, I am pleased (and relieved) to report, is a fun, family film - entertaining for young and (ever so slightly) old alike. I appreciate that one of the key questions a parent might have before watching Goosebumps (particularly with young kids) is - is it scary? To be honest, this film isn’t very frightening. The monsters are, for the most part, silly and there is no gore, sustained threat or infliction of pain. However, there are some minor jump scares and a handful of scenes where the monsters are a little startling and in your face. This could potentially be frightening for a young child. Bearing that in mind... I would heartily recommend Goosebumps if you are looking for a fun family film. I have loved Labyrinth since forever. I have watched it so many times. I adore Jim Henson’s film for all of its unsettling darkness and twisty humour. I love it for the amazing puppets and the brilliant sets and, of course, for David Bowie’s iconic performance as Jareth the Goblin King. The Little Prince is a lovely Netflix Original film based on the classic book (of the same name) by French writer, Antoine De Saint-Exupery. The source text (which does not include the film's little girl or her mother) is often called a children’s book for grown ups. It has sold hundreds of millions of copies since it was first published in 1943. The book's appeal is twofold. On the one hand, it is an imaginative story of excitement and adventure. On the other, it is a thought-provoking, allegorical tale. Who, then, would be brave enough to adapt such a beloved book? The answer is Mark Osborne, director of Kung Fu Panda and The Spongebob Squarepants Movie. At first glance, not an obvious candidate perhaps. Indeed, it was not Osborne's idea to make a film of The Little Prince. Saint-Exupéry's estate approached him. That may be true but Osborne has made a wonderful film nonetheless. A film that is entertaining, fun and full of wisdom about love, loss and what truly matters in life. The third Roald Dahl adaptation on this list, Wes Anderson’s Fantastic Mr Fox is a film that grows on me following every watch. Anderson’s intricate, stop motion filmmaking and the film’s impressive voice cast (featuring the likes of George Clooney, Meryl Streep and Bill Murray) make this an animated classic. What are your favourite family movies (on Netflix or more generally)? Let me know in the comments section below or via Twitter. You can find me @500DaysOfFilm!